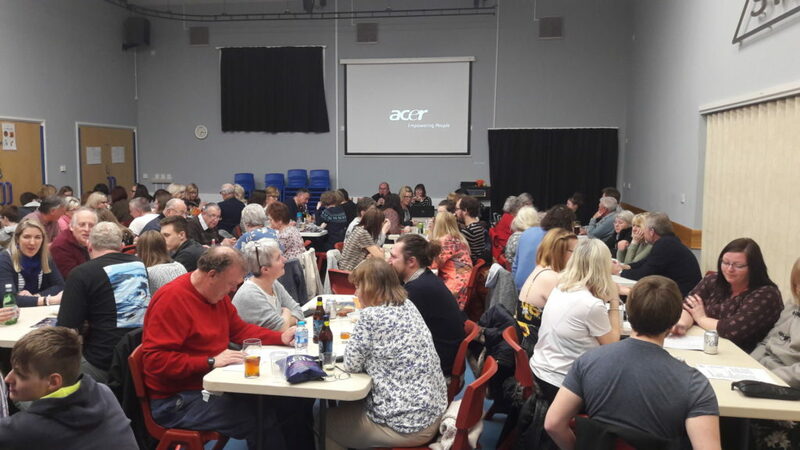 The Friends of Sheringham Woodfields School would like to thank everyone who supported our Quiz evening held on 21st March 2019. The packed out hall enjoyed an 8 round quiz including a music round and even a round on the theme of Brexit! A large selection of puddings were provided for all to enjoy during the half time break. The event raised an impressive £610 which will be used to support the purchase of a new rebound trampoline for the schools new therapy centre which it hopes will be available shortly after Christmas 2019. A big thank you to Den and Bob for organising another quiz, Kerry and Kitty for supporting with puddings, Tesco and The Bakehouse in Sheringham for their kind donations and to everyone who gave so generously at the event.